I’ve said it often on the radio and at live events: there are 5 things you can do with money—spend, save, speculate, invest, and insure. In retirement, your financial plan—if properly built–will likely include all five activities. How much you emphasize one over the other will determine the quality of your life and the quantity of meaningful, memorable, and fun experiences as a retiree. They say there are two types of people in the world: those who save first and spend what’s left, and those who spend first and save the balance if any. What you’ll find is the second group of people end up working for and paying interest to the first group for most or all of their lives. Saving is a great habit, but interest rates in the era of massive government debt are too low to live on. Governments must issue debt (bonds) at lower and lower rates to keep the economy from stalling and to keep the mountain of debt at the treasury from growing too fast. This is not just a U.S. problem—the entire world is under a heavy load of debt, and major countries like Japan and Germany are paying negative interest rates. We all need to keep a bucket of liquid spendable money market accounts (your “cash bucket”), but if you are going to be strictly a saver, you will not be very well rewarded. Keeping all your money in cash and cash equivalents sounds good when fear is in the air, but if you want to be smart you will diversify to keep yourself from losing the game in the long run. The market has been on a tear since 2009, rewarding both speculators and investors. Speculators do not care about dividends. They trust in supply and demand and their ability to be quick on the draw to get in and get out at just the right times. Good luck with that. Investors are a different breed. We like to be paid for owning our investments. When you put up your hard earned cash, and begin receiving rent checks or dividend checks right away, you are on a path get all the money back from the dividends, and still own your investment. With rental buildings, there is a lot of maintenance, property taxes to pay, insurance, tenants to deal with during recessions, repairs and other items to keep thinking about. If you want to sell the property, it can be a long drawn out process. With dividend paying stocks there are no tenants, no toilets, no hassle, and if you want to sell, you can do it in a very quick manner. Most people refer to anything having to do with putting money into stocks or real estate as “investing.” But investing means you are getting an immediate income return–receiving a steady rent check or a dividend check. Speculating puts you at the mercy of the market—if the demand for what you own declines, so does your account balance. With dividend investing—and reinvesting your dividends, a declining market means you will be buying more quality shares at lower prices. If you own double the shares ten or twelve years from today without putting an extra dime of your money in, would that please you? Speculating is betting, plain and simple. You are betting that the demand for the non-dividend paying stock will be greater down the road than it is today, that current economic conditions will hold, AND, that you will sell the stock at just the right time when it reaches the pinnacle. Afterall, with a non-dividend paying stock, the gain never belongs to you unless you cash in your chips and take the profit. You have no other way to benefit. It is quite easy to hit the peak with a stock, fall in love with it, go into denial about it, and then hold it too long, selling it later for little more or less than you paid. That’s painful but happens often. Smart dividend investors look forward to market declines. They know they own quality companies that are the fabric of the economy—not flash in the pan momentum stocks. Downward market cycles help dividend investors buy more and more shares of quality companies. Downward market cycles cause pure speculators to wonder what happened. The dividend investor grows the return over time. Your dividend yield on your investment may only be 3.5% when you start. But by steadily reinvesting your steadilyl increasing dividends, your yield can grow to 7% in 6-9 years, and 10% or more in ten to fifteen years. 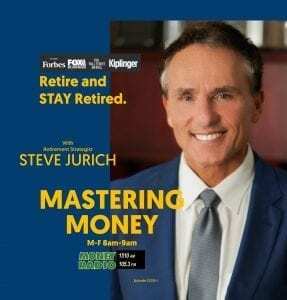 If you have the discipline to think long term, and the wisdom to understand that investing is a marathon not a sprint (especially in retirement), a dividend strategy for at least part of your financial plan should be considered. In the future, even if the stock isn’t a super fast grower, it keeps on kicking out increasing dividends. Because you are buying only stocks that increase their dividends every single year, and letting your dividends buy more shares of stock, good things can happen. Being patient, you will have received all of the money your money back from the investment in dividend checks. Then, you still own the asset. That’s investing. In real estate, speculating is buying and flipping, investing is buying rental properties. An investment pays you cash flow. A speculation does not. In the stock market, you can do both, and do well. You can allocate some of your money to speculating, some to investing. It is a good combination in your growth bucket. Our Blue Diamond Dividend Growth strategy combines both dividend growth stocks and pure growth stocks in carefully selected sectors. BLACK DIAMOND DIVIDEND GROWTH: Not Just Dividend PAYERS, Dividend Growers. Price to earnings ratios never tell the whole story about the value of a stock, but among value measuring sticks, PE ratios can be quite helpful. If the stock’s price rises too high in relation to earnings, it’s usually a good idea to wait until the stock comes back to you, price-wise. A company’s dividend yield is also a measuring stick used effectively to determine value and proper pricing. If the price rises too high in relation to the dividend, the yield will be too low to consider it for the Black Diamond, regardless of how popular the company is. We invite you to explore our Black Diamond and Blue Diamond dividend growth portfolios.